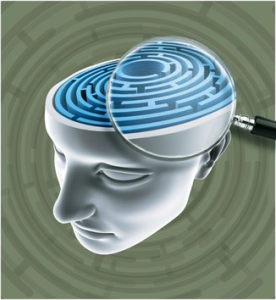 Forensic Psychology is a discipline that takes a legalistic approach to psychology. This unique field combines the sciences of human behavior and psychology within the legal and criminal professions. Read more to learn how this fascinating branch of psychology developed to become a standard part of criminal cases. Sherlock Holmes famously used the principles of forensic psychology to solve his cases. However, these principles took a long time to be accepted into the worlds of law, psychology and criminology. In fact, the American Psychological Association (APA) recognized it as an official specialty in 2001. Early researchers in the 1900’s conducted experiments and studies court testimonies, intelligence testing and witness recall efficacy. After World War II, expert witnesses become more acceptable within the court system. Today, forensic psychology has developed through revolutionary technology and the need for scientifically trained experts within the legal and criminal system. According to the American Psychological Association, people misunderstand what forensic psychology is because of media stereotypes. That is, many popular crime and police procedural TV shows portray forensic psychologists as geniuses who profile serial killers by getting into their mind and predicting their actions. However, not all forensic psychologists are glamorous crime solvers. In fact, the field of forensic psychology actually encompasses a broad array of disciplines, such as social, cognitive and criminal psychology. Still, the actual application of forensic psychology does involve scientifically trained professionals interviewing and assessing individuals that are involved in the legal system. Who Do Forensic Psychologists Work With? Forensic psychologists apply their legal and psychological training to perform clinical assessments of individuals involved in the legal system. For example, they work with child welfare to perform child custody evaluations with parents and potential adoptees. They work with educational organizations to perform student threat assessments. However, the bulk of their time is spent interviewing and evaluating the competency of criminal defendants, victims and witnesses. They also can be involved with counseling, such as providing counseling sessions for crime victims, and identifying victims with post-traumatic stress disorders (PSTD). They coordinate and communicate with legal, court and law enforcement officials. Forensic psychologists work in very different work places. For example, those with a degree in applied forensic psychology may work in correctional facilities and help inmates with counseling and anger management. They will most likely provide inmate screening, assessments and crisis management. In the legal world, forensic psychologists may either work for the state or a private consulting firm to provide lawyers with personality, psychology and competency evaluations. Forensic psychologists typically have a Ph.D or PsyD degree. However, there are limited jobs available for those with a master’s degree in forensic psychology. They must also have at least two years of supervised experience with at least one year in an accredited internship program. In addition to this, every state has its own specific licensure requirements for forensic psychologists. The education requirements for this discipline are very high, according to the American Board of Forensic Psychology. To summarize, forensic psychology is a specialization that forges the bridge between the legal system and field of psychology. Forensic psychologists are highly educated mental health professionals that work in a variety of positions and industries. Forensic psychology makes valuable contributions through helping individuals and ensuring public safety.